ISLAMABAD: President Mamnoon Hussain on Wednesday extended an invitation to His Highness the Aga Khan to visit Pakistan during his Diamond Jubilee celebrations. He was talking to President Aga Khan Council for Pakistan Hafiz Sherali at Aiwane Sadr. The president appreciated the socio-economic services rendered by the Aga Khan Development Network (AKDN), the Aga Khan Foundation and the Aga Khan Health Service in Pakistan. 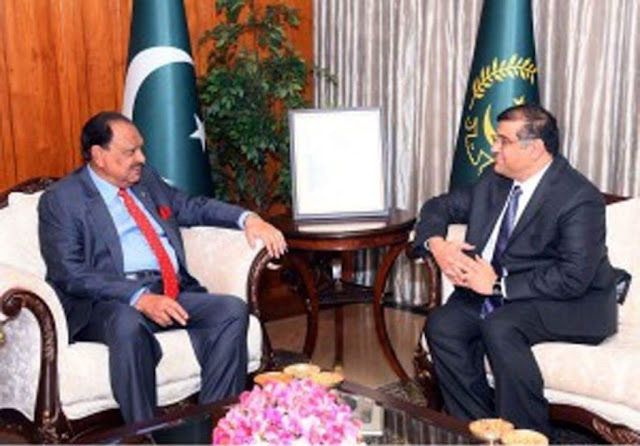 President Mamnoon received a letter of felicitation from His Highness the Aga Khan on the occasion of Pakistan Day. The president said continued engagement of AKDN in Pakistan, especially the northern areas, was making a visible difference in the lives of people and infrastructure in the country.